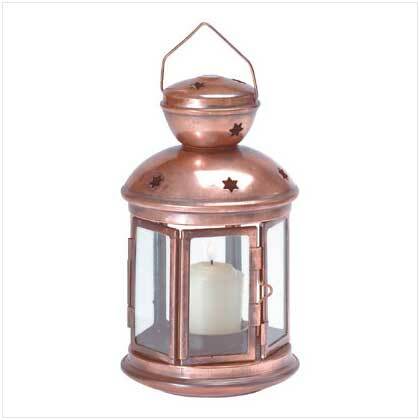 31132 Cutouts and glass windows gleam with reflected candlelight in this colonial-style metal candle lamp. Bright burnished finish and a wire hanging loop. Metal with glass windows. Uses votive candles (not included). 5" x 5" x 9 1/2" high. 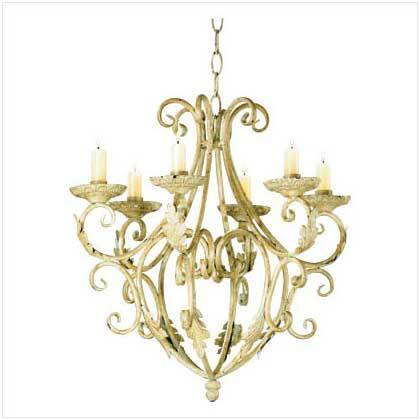 35601Elegant candleholder chandelier is delicately designed in wrought iron to bring home the romantic charms of the Old World.Uses taper candles (not included) 16 1/2" x 15" x 17 3/8" high. 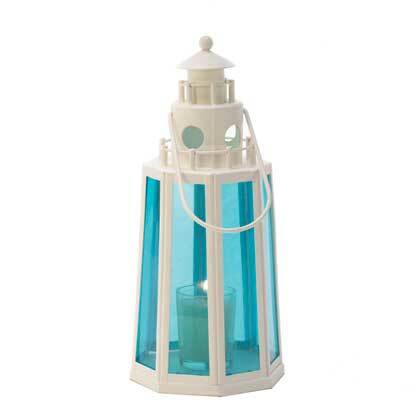 15217 Indoors or out, the ocean-blue glass and white metal of this lighthouse lantern is a cheerful coastal accent for your home. Open the door to place a candle inside to soak in the cheery radiance. Item weight: 0.7 lb. 5" x 5" x 10" high; 13¼" high with handle. 39695 A slender seraph shields the light of faith with her bowed wings as she folds her hands in prayer. 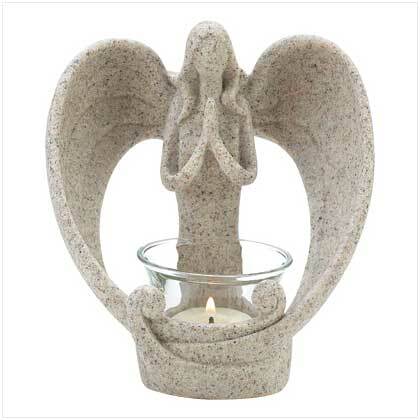 Stone-look decoration graces your home with a heartwarming dose of hope and faith! Polyresin with glass cup. Candle not included. 5 3/8" x 3 7/8" x 5 3/4" high.